It is possible to get eliminated in less than 3 seconds (just ask paintball magnets Tyler and Rob). Don't get the big bowl at Mongolian Grill before paintballing. It makes you slower (see point 2). 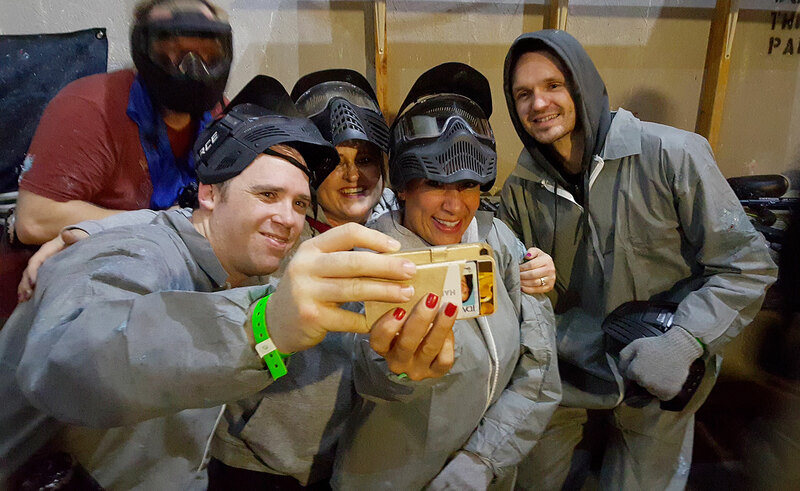 GoPro + Paintball = Awesome (thanks Heather and Justin for wearing the GoPro helment). Speaking of GoPros, check out this video we made with the GoPro footage we took. And, here are a few photos of all the fun we had!